New York’s novelty food fads may be exceptionally varied (for every successful cronut there’s a rainbow bagel waiting for its fifteen minutes of Buzzfed-fame), but one thing unites them all: their ability to render consumers gratified but incapacitated post-indulgence. 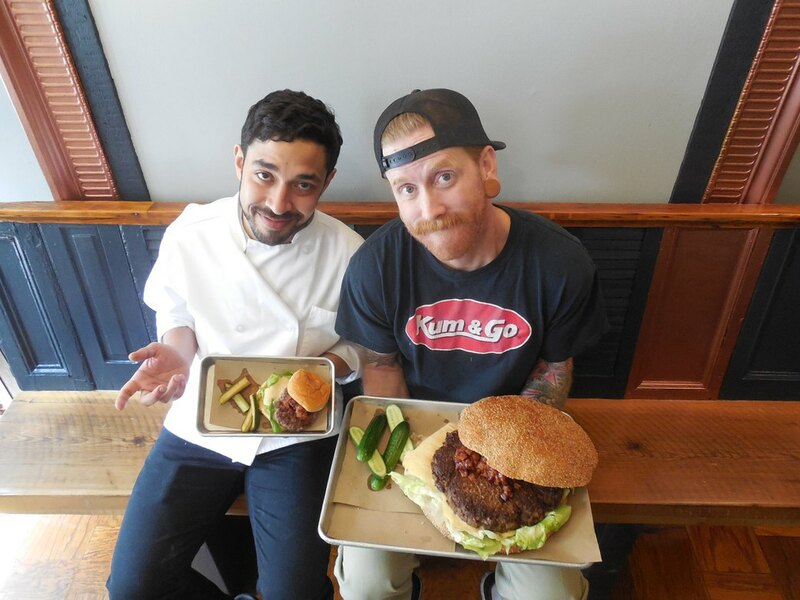 The proprietors of the newly-launched restaurant Sincerely Burger by Dear Bushwick have collaborated with Chef Christian Ortiz to bring you Bushwick’s newest novelty food item: a “gargantuan” five pound cheese burger, served with a quarter gallon Peanut-and-Cookie-Butter (Bourbon-Spiked) Milkshake. Beginning this weekend, only one five pound burger will be available per night, and it must be reserved ahead of time. Don't sweat it if the thought of consuming 5+ lbs of cheesy meat this weekend is too daunting, though. 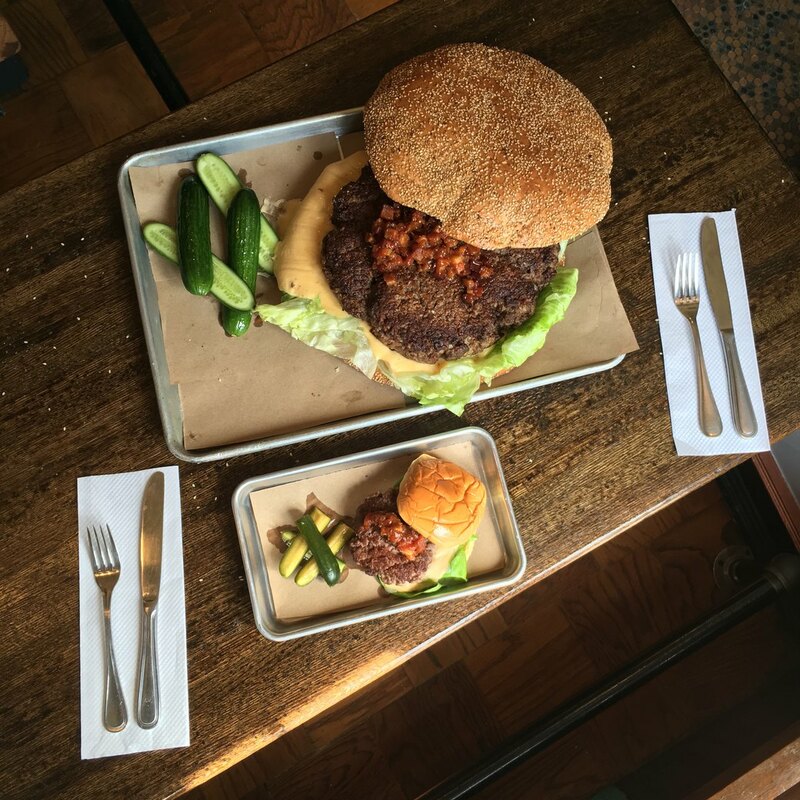 Sincerely Burger will still be serving items from their regularly-portioned Naughty and Nice menu from 5-11 p.m. every Sunday through Thursday, and until midnight on Fridays and Saturdays. 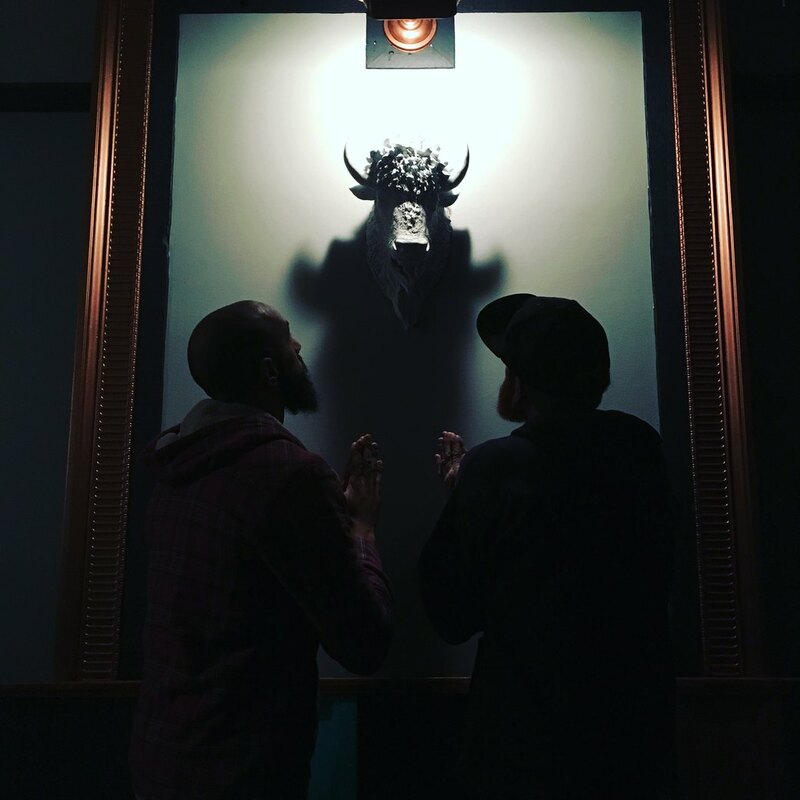 Their boozy milkshake program is slated to arrive on the regular menu in the coming weeks.